Discussion in 'mahjong-village' started by Gamincat - Apr 1st, 2018 3:51 pm. A few days ago the part of mahjong village where you compete directly against another player to clear a board stopped working on my phone app. Has anyone else seen This? This Website is not affiliated with Mahjong Village. trademarks are the property of their respective owners. 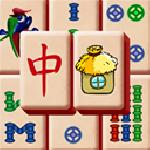 Game content and materials copyright Mahjong Village. all right reserved.